RACE 07 - The Official WTCC Game features the full FIA WTCC season of 2007 including all cars and tracks, as well as several new support classes and tracks from all over the world. 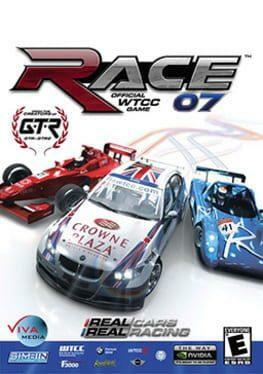 The game also features the full WTCC season of 2006 which was included in the games predecessor RACE - The WTCC Game, released in 2006 on PC. For the first time ever SimBin is also presenting single seater action with Formula cars. Race with the incredibly fast Formula 3000, Formula BMW and in addition also the Radical sports cars with the models SR3 and SR4. To support these new race classes the player will be offered the choice between one- or two-race-format. The highly detailed damage system is also adapted to give the Formula cars the vulnerability they have in real life. RACE 07 comes with a score of new tracks and added track variations including several new city tracks, alternate track layouts and reversed track option. Several new community oriented features, game modes and online functionalities will also be announced later. All in all, RACE 07 features more than 300 cars in 9 different classes on 32 real life racing tracks and city circuits from all over the world. Race 07 is available from 2.98 to 2.99 from 1 shops.